The Polkadoodles challenge this week is a fantastic sketch from Nikky and the only other rule is to use at least one Polkadoodle product. 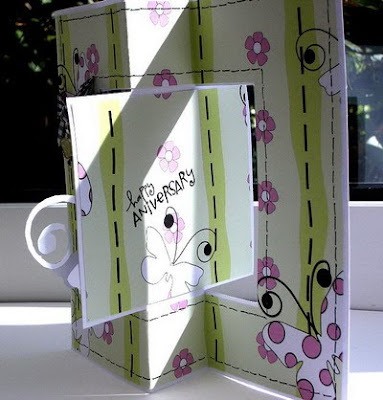 I've used the Sugar Birdies CD, loving the flexibility of the designs I found just what I was looking for to make a birthday card for my son, and yes I've got a teenager in the house! ICS time again, the weeks are flying by, another fantastic sketch from the talented Dawn. Pop on over to ICS to see the fabby prize on offer to one lucky winner, it's a pile of craftiness donated by DT member Karen. 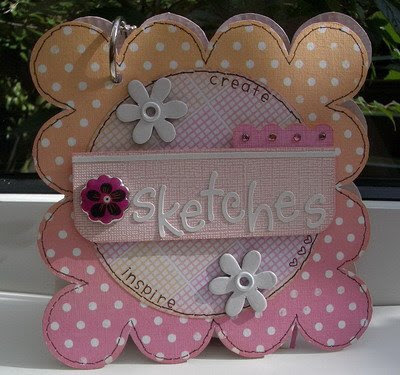 While you're there check out the DT creations, loads of inspiration for this week's sketch. Remember you can rotate, flip, stretch, or cut down the sketch. Just be sure that we can see part or all of it within your projects, and have Fun! 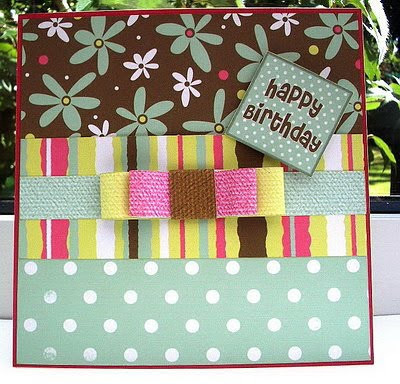 I've used the Funky Hand freebie for my DT card aren't those paper ribbons just fab, I love how they look like fabric, they're all part of the freebie kit. 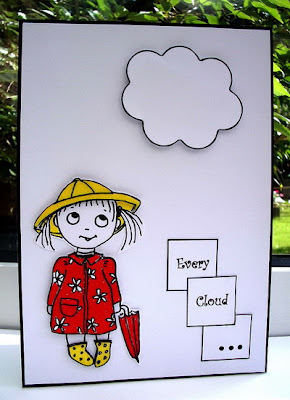 Another fab sketch over at Carol's Sketch Fun, and as usual there's a yummy prize for one lucky winner up for grabs the challenge finishes on 25th Aug so still some time left to join in. The papers are from the freebie download from Funky Hand. 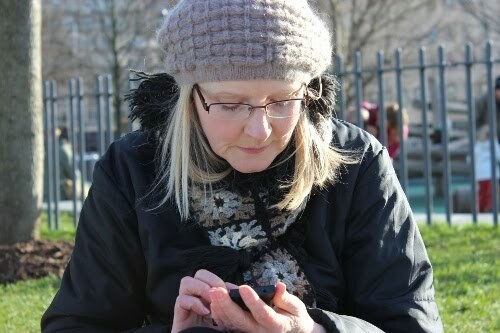 Speaking of Funky Hand there's still time to join in with the latest Get Funky Challenge. 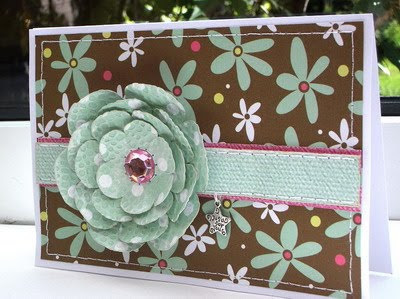 The challenge over at Polka Doodles this week is to make a card with at least 2 folds. 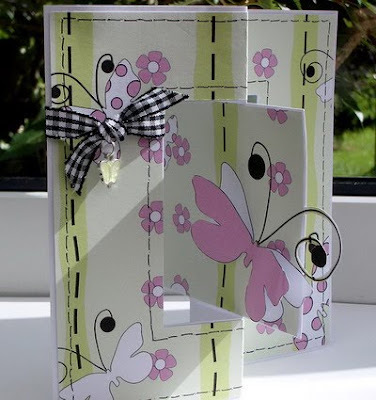 There's plenty of ideas and inspiration from the fabby Polka Doodles DT and I've taken my inspiration from the mega talented Kath and made a swing card. 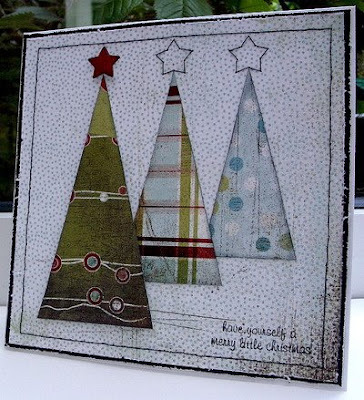 Never made one before so it was certainly a challenge for me, but so pleased with myself that I've mastered it now, with the help of several tutorials on youtube and a template from Split Coast Stampers lol! ICS time again and a fab sketch from the talented Olena. 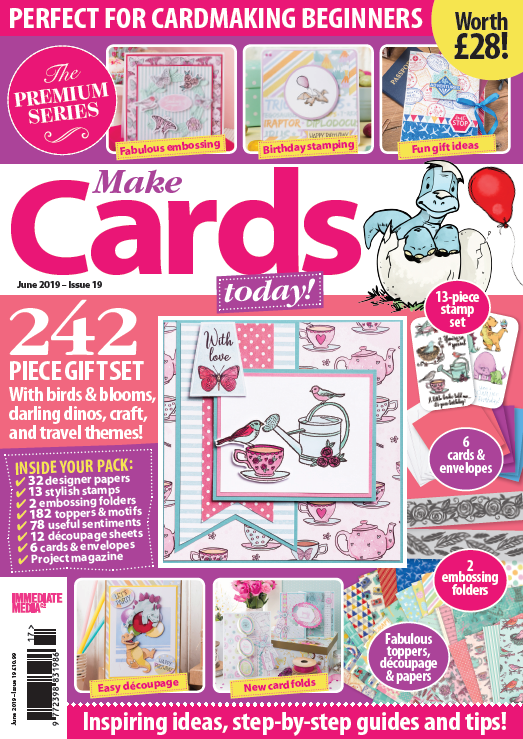 The DT got to work with some lovely digi images from Paper Popsicle, the sponsor for this week. One lucky winner will be in with a chance to win some of their fantastic images. 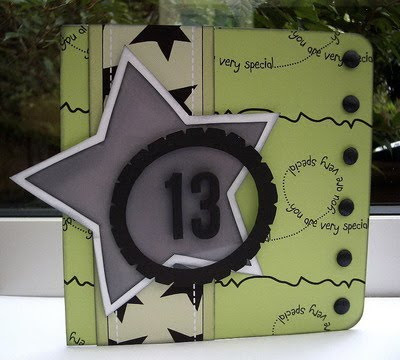 For my DT card I've kept it quite simple (colouring is not my strong point!) just coloured with brush markers, decoupaged the hat, coat and boots, and added glossy accents to the hat and boots to make them shine. Wooo Hooo! 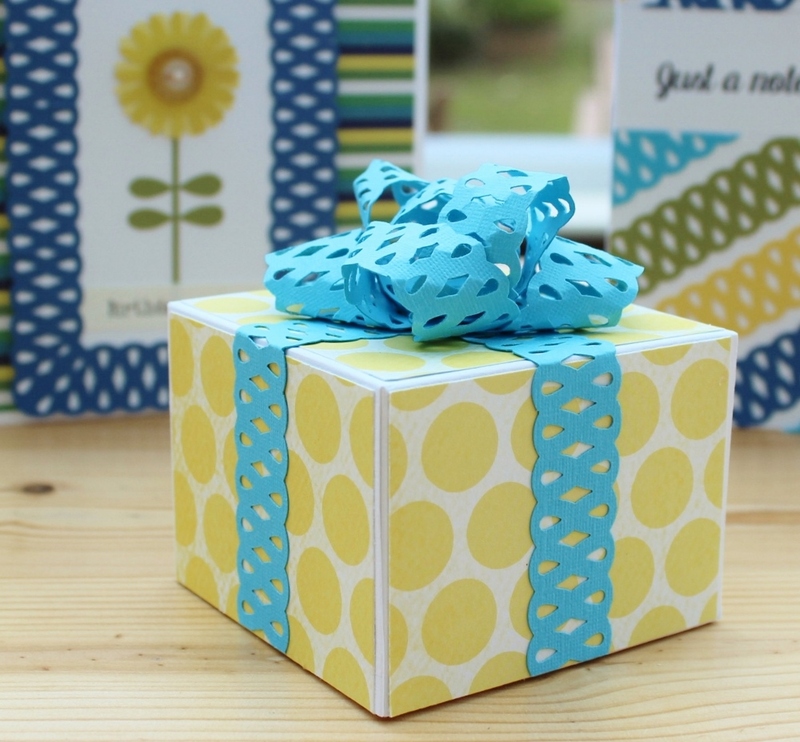 Really chuffed to have won the Polka Doodles challenge last week with my gift set! 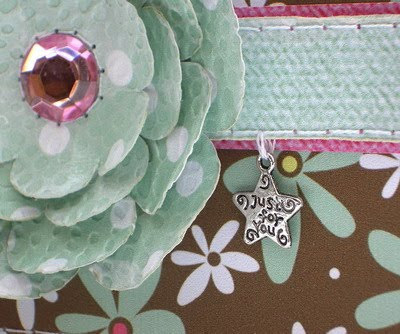 And the prize is a Polka Doodles Sugar Birdies CD so can't wait to get creating with that. Nikky has a new christmas CD Jingle Jangles due for release soon it' s on pre order on the website at the moment but you can catch Nikky launching it on Create and Craft on Monday 17th August at 9am. I know I'll be watching! Edited to add: My prize CD arrived today how's that for service! Off to make a swing card with it for this week's challenge. 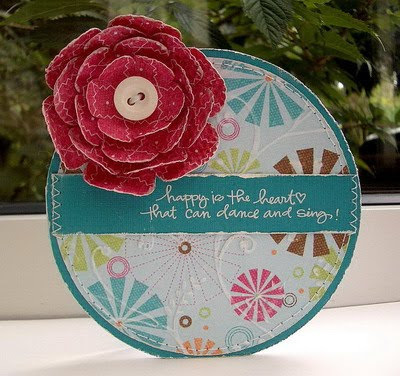 Not made many circle cards before so just had to have a go at the fab sketch from Polka Doodles this week. Can't get enough of these papers this is the third card I've made with only 4 sheets of A4, a first for me. Can you tell I'm on an economy drive, no crafty orders this week - so far. Just added some distressing, embossing and stitching to liven things up a bit. Button from Mum's button box. This is my second award and I'm most honoured to have received this one from the lovely Lynda. Every time I visit Lynda's blog I'm inspired and to think that in the short time I've been around I have inspired someone as talented as her is a real compliment. Now comes the hard bit, for me anyway, who to pass it on to. Well, I can't make decisions at the best of times and this takes me back to my schooldays, picking teams for netball and I know how I felt being one of the last to be picked. So if you're reading this post please feel free to take this award as I'm sure you've inspired me in some way. As I'm still a new kid on the block I get inspiration from every blog I visit. Another fabby sketch from the lovely Carol and a great prize up for grabs. Just made it by the skin of my teeth, the weeks fly by so fast I thought I had another week to go! So I'll keep it short otherwise I won't get it linked up in time. It's ICS time again and this week's sketch has been designed by the very talented Tricia. Our sponsor this week is Shortcuts. There's a fab prize of a $20 gift certificate to one lucky winner chosen by random generator. 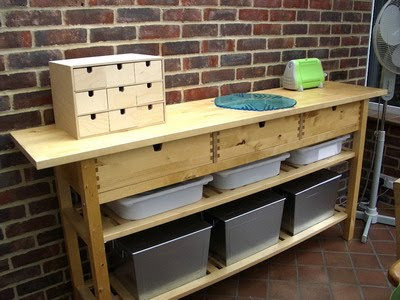 Feast your eyes on the DT creations, lots of inspiration to get you started. We'd love for you to join in and are looking forward to visiting your blogs to see your what you come up with. 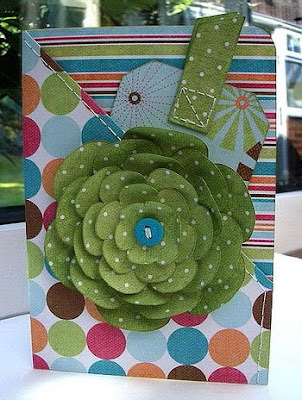 For my DT card I've made a double pocket card. I got the fold from a tutorial on Youtube. 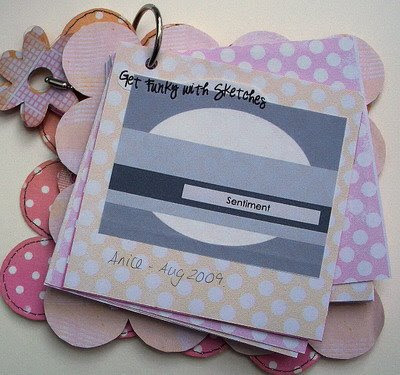 The Polka Doodles challenge 11 is to make a card/project which is also a gift and the prize is a Sugar Birdies cd. 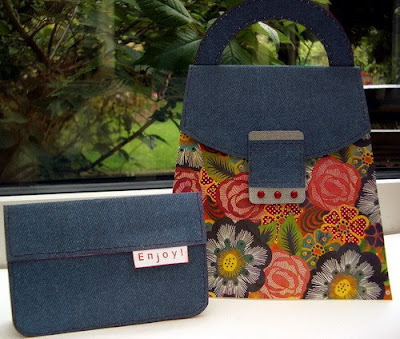 The DT have excelled themselves, lots of fabby projects over there to feast your eyes on. 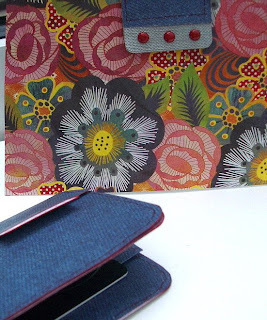 Well, I've made this handbag card and matching gift card wallet, but I'm just reading the challenge details again and I think I should have used the Candy Doodles cd, oh well I'm going to enter it now anyway, it's been one of those weeks for me, lots of mishaps and not much creativity flowing, so I won't be surprised if I've got it wrong! I enjoyed making it anyway. ICS time again and here's my card for the DT. This week there's another fab sketch from Dawn and the theme this week is 'christmas '. Be sure to check out the DT and GD creations there'll be plenty of inspiration to get you in the christmas mood and playing along. We all love visiting your blogs to see your creations. 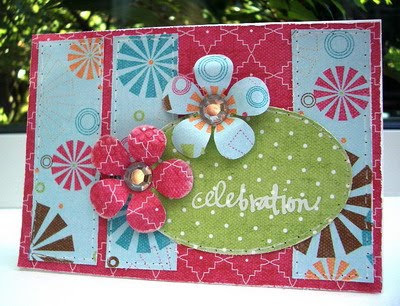 The prize (chosen by random generator) this week is a fabby card kit from Dream Designs. Well it's the first challenge for the all new Get Funky challenge blog and all the design team are just so excited. This months challenge has been set by Anice and it's a sketch. I've used the sketch to create a 'Sketch' book, no more searching around for scraps of paper, all my sketches in one place! The papers are from the 'Funky Daze' CD. For the front and back cover I created my own template and printed the Funky Hand design straight on to sturdy card and cut around the template. For the insert pages I printed the design on to paper and used the draft setting on the printer. This gives a faded effect making the paper easier to write on, and more exciting than plain notepaper. Hope you'll be joining in with the challenge, no excuses, there's a whole month to enter and a fab prize of a £20.00 gift voucher to spend on the Funky Hand website to one lucky winner. All you need to do is follow the sketch and use at least one FH paper or element in your design, and don't worry if you haven't got any FH goodies yet, there's a freebie available from the website, see we've thought of everything ;). 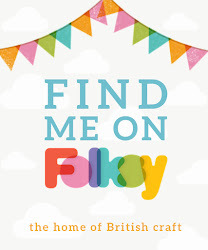 Looking forward to see what you create and if you need some inspiration then be sure to check out the rest of the talented design team's fabby creations.